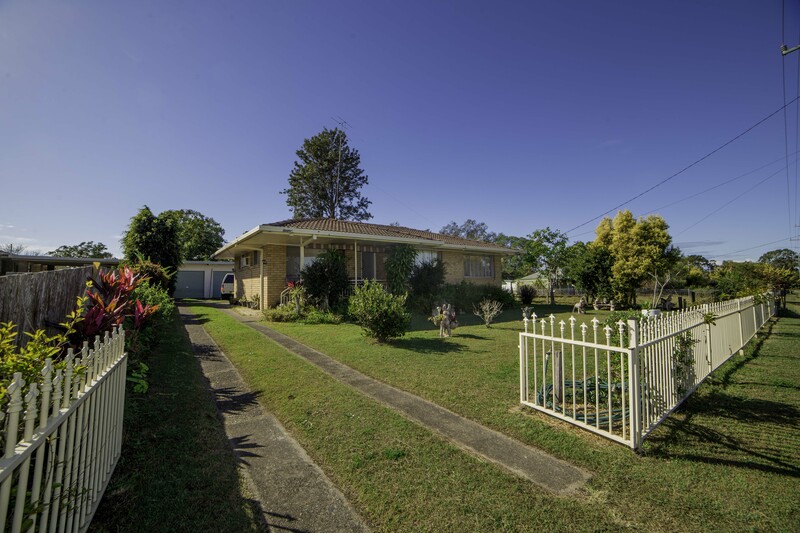 This cute little three bedroom home is set on a 1695 square metre block, 9km from Grafton, and enjoys a rural outlook and a laid-back country ambience. Junction Hill is 3km down the road, with a bakery, service station/store, hotel, boat ramp & sporting fields. Retiree’s and first home buyers spring to mind when looking at this property, given the low-set and low-maintenance home on offer here. The kitchen, living & dining area is open-plan, with the hallway leading to the three bedrooms. The first room is a decent size, with a large window taking in the views of neighbouring farmland. The next bedroom is the master bedroom, which is very generous in size with large built-ins. The third bedroom is small in size but would be suitable for a kid’s room or as an office. Outside, there is a two-bay garage with cement floor and power connected, along with a skillion out the back. A garden shed and greenhouse provide extra room for storage, and anyone with a green thumb will love the space in the backyard – ideal for growing your veges! The side access also leaves your options open if you have a caravan or boat, or if you’d like to build a shed out the back (subject to council approval of course). Town water is connected, along with mains power. Unfortunate circumstances mean a sale is required ASAP – the auction date is set for Saturday 4th May, but genuine offers prior to auction will definitely be considered. Phone JoJo Newby of Farrell McCrohon Stock & Station Agents on 0417 690 637 to discuss. OPEN FOR INSPECTION: Saturday 6th April, 9:00-9:30am & Saturday 13th April, 9:00-9:30am.